Oklahoma Connection | Pine came to Cleveland, Indian Territory around 1903. During the Great Depression, William Pine rigged up some old machinery and produced house paint…probably the best outside paint available, and sold thousands of gallons (at $1/gallon) to people across eastern Oklahoma. William Bliss Pine was born in Illinois and graduated from high school in 1897. He worked for a machine binder company and settled in Wichita before “catching oil fever” and going on to use self-taught geology in the Gotebo and Ardmore fields, helping to open the Big Pasture oil field. When he sold a block of leases in the Okmulgee district to a French syndicate, Pine was well on his way to becoming one of the largest oil operators in the southwest. He made his home in Okmulgee and was nominated for the U.S. Senate in 1924. 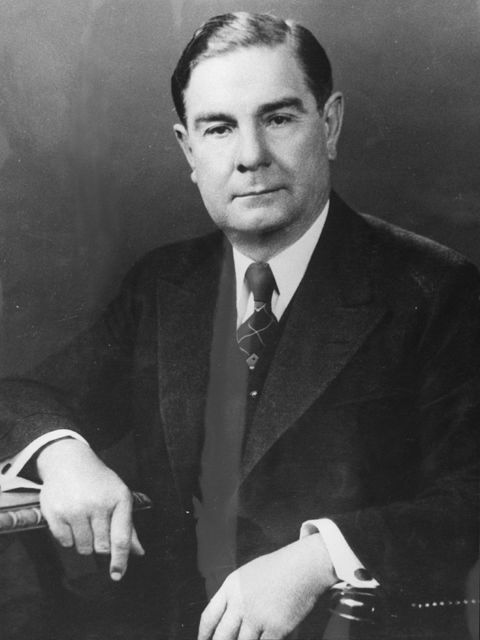 In that race, Pine defeated Jack Walton in the largest majority ever cast for public office in Oklahoma to that time.